NO GMOs, NO Artificial Flavors or Colors, NO Preservatives! Stay forever young! Based in Brooklyn, NY! I have lost count on how many hot chocolate reviews I have done over the years. But, I do know that I have never tried and shared a review on a thick, and oh so rich dark hot chocolate like Dolce Vite Chocolatto before. I have lived in New England all my life, and have grown accustomed to the crazy weather we have. I know that we always say that each winter is worse than the last, but this one has been extremely crazy. Right now, we have over 2 ft. of snow on the ground and have run out of space for more snow. I am not alone when I say I am counting down the days until spring is here. Out of all the hot chocolates I have tried over the years, I have found that mixes that are made shaved chocolate test best over the powdered form. But, with all the hot chocolate I have been drinking lately to keep warm with these crazy New England temps, I was itching for something new. So, I took to the Internet to see also hot chocolate options. This is when I stumbled upon Dolce Vite Chocolatto. Besides being Vegan and with no GMO's, this is a totally unique and one of kind hot chocolate. 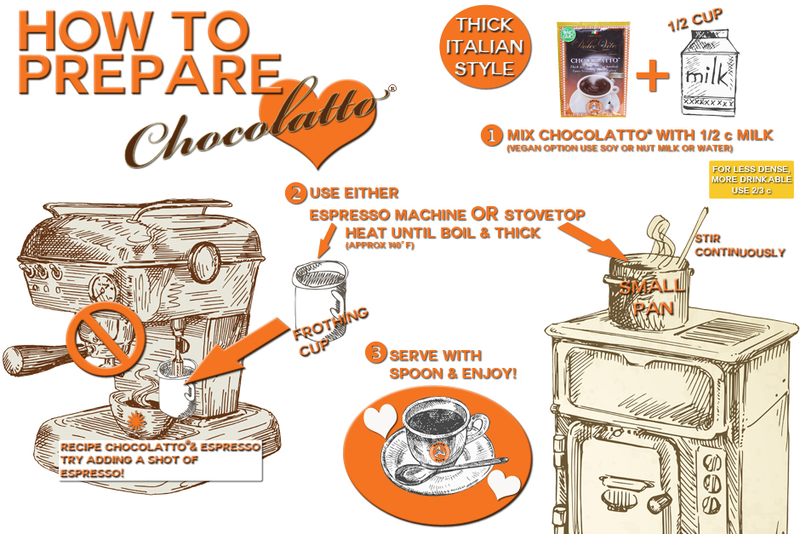 Here is a quick video featuring Dolce Vite Chocolatto's creator, as she gives you first look at this amazing thick hot chocolate you use to a spoon to enjoy! See how thick the hot chocolate was in her cup? I had the opportunity to make a cup yesterday using the stove top method --add 1/2 cup milk to the mix, stir until it thickens and boil over heat, and then pour in a cup and enjoy. 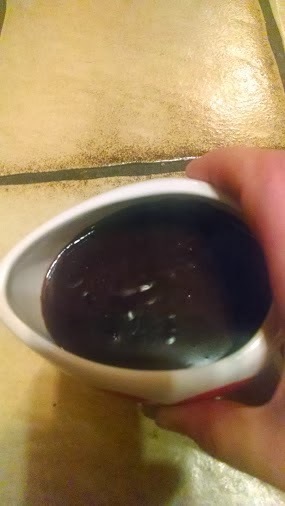 My husband was in the kitchen at the time and thought I was making chocolate pudding for the girls. When I told him it was hot chocolate he didn't believe me until I showed him the envelope the mix came in. I couldn't get over how thick this hot chocolate was, as I poured it into my cup. I can see why you need a spoon to enjoy, as you will want to scrape up every lost drop once you reach the bottom. Besides being thick in consistency, how was the flavor? First, let me wipe my lip from the drool... :-) Every time I think about how great this hot chocolate was, my mouth waters. :-) Dolce Vite Chocolatto was so rich and creamy and full of flavor. I never enjoyed hot chocolate with a spoon, but found myself finishing off this cup of hot chocolate in record time. I was scraping the bottom of the cup like a batter bowl to get up every last drop of this chocolaty goodness, as I hoped for more. 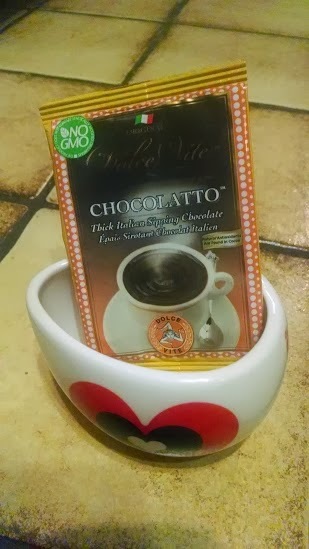 Being a chocolate lover, I have tried all different types of chocolates over the years -- but I have never experienced a dark chocolate hot chocolate that was so full of flavor and made my mouth water like this Chocolatto did. I will definitely be picking up more, so that I can enjoy during the duration of the winter and beyond. If you are a fan of hot chocolate and want to experience what true hot chocolate is meant to taste like, then you have to try Dolce Vite Chocolatto -- one spoonful and you will be hooked! Now that I have tried this thick version of hot chocolate, I don't think I can go back to the other hot chocolates I used to enjoy. 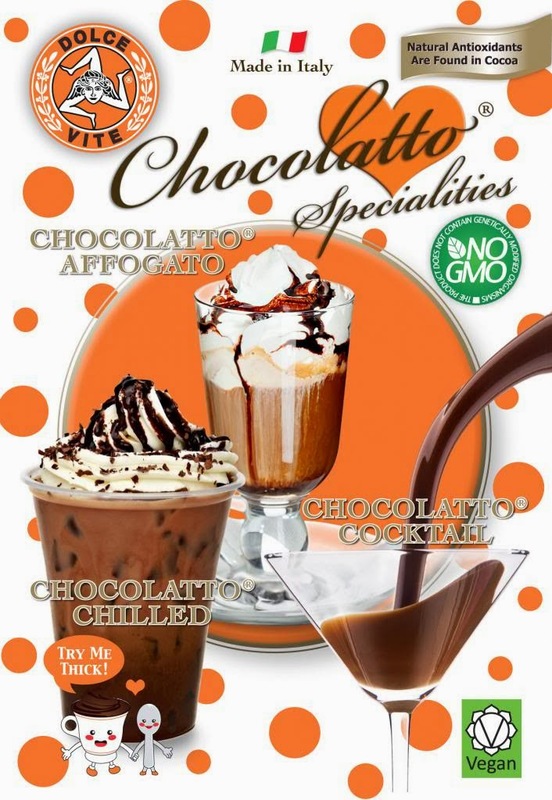 Nothing compares to the taste and consistency of Dolce Vite Chocolatto. You can pick up a 10-serving box of Dolce Vite Chocolatto to enjoy at home with family and friends, for only $25.50. 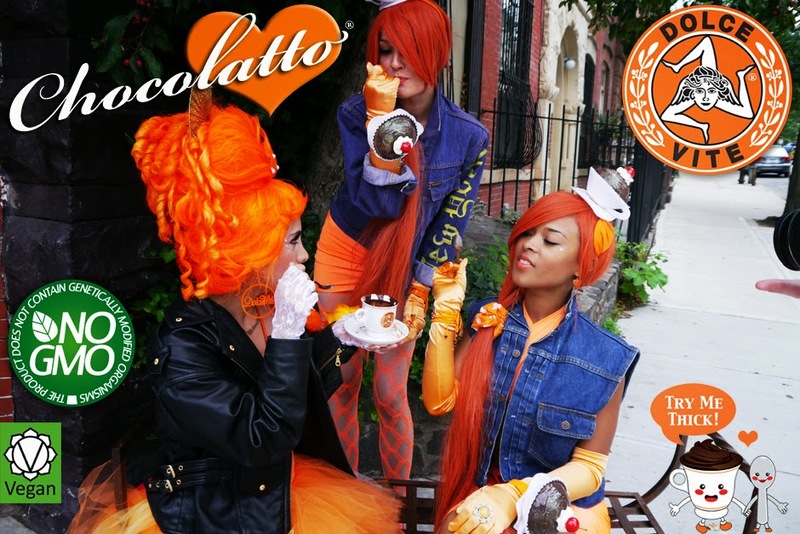 Click here to order a box now -- http://dolceviteforeveryoung.com/collections/dolce-vite-chocolatto-retail-store/products/purchase. This hot chocolate would also make for a great gift idea, or surprise to share with your honey on date night! I love dark chocolate it is my very favorite and I would just love to try this. I also really like that there are no gmo's or artificial colors or flavorings in it thanks for sharing.